Pour water into large pot to depth of 1 inch and bring to boil. Place asparagus on steamer rack set over water in pot. Cover pot and steam until asparagus is cresp-tender, about 4 minutes. 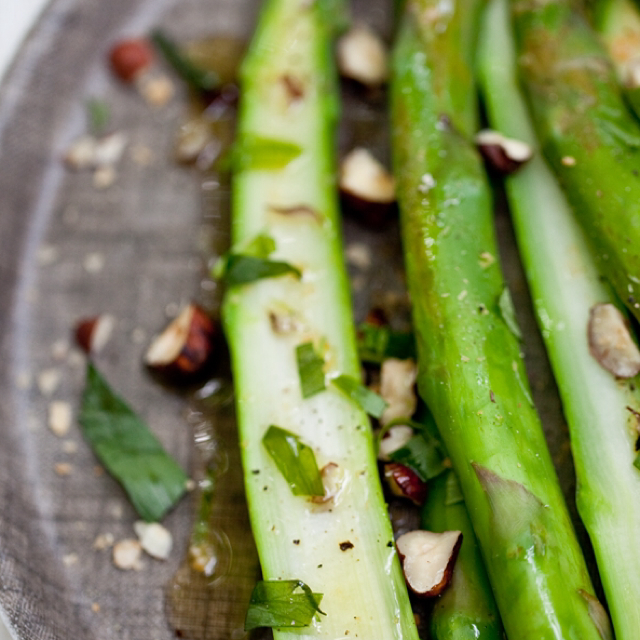 Transfer asparagus to bowl of ice water and cool. Place asparagus on paper towls. (Can be prepared 6 hours ahead. Cover and refrigerate.) Combine shallots, vinegar, tarragon and mustard in bowl. Place baby lettuces on large platter. From The Loire Valley Bon Appetit/May 94 Typed by Didi Pahl.